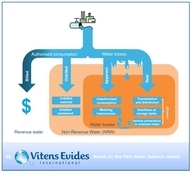 I worked for Vitens Evides International (VEI) as a Non-Revenue Water (NRW) Expert on the project Addressing Non-Revenue Water: The Invisible Alternative Source of Water. 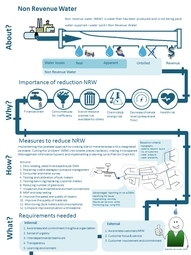 The overall goal of this project, in which SNV Netherlands' Development Organization has the leading role, was to increase access to clean and safe drinking water by reducing NRW among 10 Water Service Providers (WSP's). My role was to assist the WSP's in starting up District Metered Areas and to implement NRW strategies. I worked closely with Peter Bervoets (YEP Water group 1) as he was the team leader in this project. I am goal oriented and like to use my flexible, open and creative side in reaching my goals. I can be flexible when unexpected situations appear, open towards new ideas and creative in finding solutions. These help me to stay positive and to stay focused on the greater goals. Besides this I like to use my social, intercultural skills and humor to create a good atmosphere to work and cooperate in with my colleagues and partners. During my bachelor studies of Civil Engineering (University of Applied Science, Amsterdam) I focused on international development work and am specialized in water management. A minor gained me theoretical and field experience (internship at Ex-change, Malawi) to work in development countries. Inspired by the UN Millennium Development Goal to halve, by 2015, the proportion of the population without sustainable access to safe drinking water and basic sanitation I also conducted an internship (Vitens Evides International) at the local drinking water company in Ghana and focused my bachelor thesis on sanitation in South Africa (University of Stellenbosch and GLS Consulting). After my studies I worked for several years in the Netherlands at an international advising company (Royal HaskoningDHV), a municipality (Naarden) and at an NGO (TECS International).